Mushroom People is highly recommended for those comfortable at the grade It has great climbing, but is runout at the start and has a slick crux off of thin pro. Which SuperTopo guidebooks include a topo for Mushroom People? 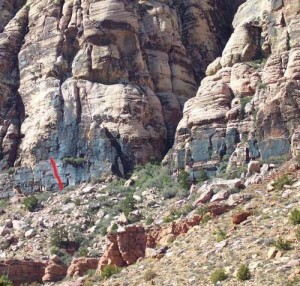 The Brass Wall as seen from the approach into Pine Creek Canyon.